Okay, first of all, who doesn’t love that cover? I mean— just look at it! It’s beautifully modern, it’s fun and the color scheme is just perfect! This cover is basically a testament to how far we’ve come in terms of book covers. If this were released in 2005 we could have gotten some tacky boy and girl graphic on the cover and I wouldn’t be compelled to pick it up. 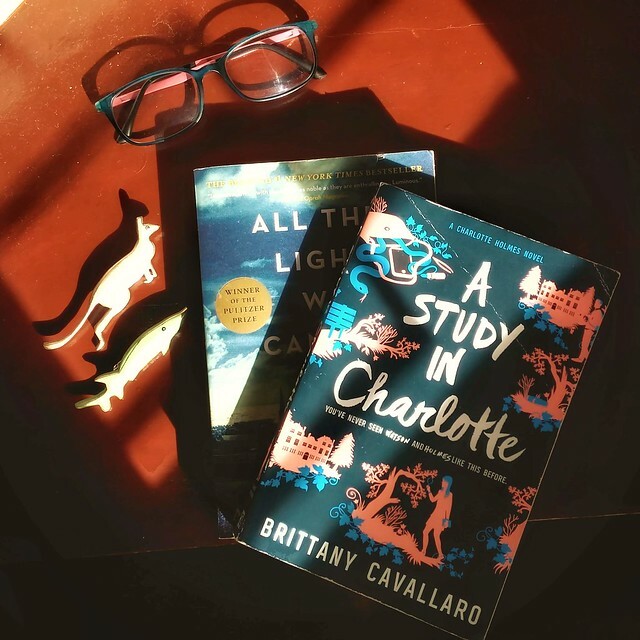 I immensely enjoyed A Study In Charlotte, the first of these Sherlock Holmes imaginings by author Brittany Cavallaro. This was such a ridiculously fun ride: we get a more-than-platonic take on the classic duo, Sherlock and Dr Watson. The idea, at first, seemed like something you’d find from a Tumblr gender-bender fanfiction, to be honest, but it was so executed beautifully that it totally blew my expectations out of the water. What I liked about it was how it immediately hooked you right at the beginning, a trait necessary in all good mystery novels (in my humble opinion). The novel is equal parts plot-driven and character-driven, and it was thrilling without taking itself too seriously. Yep, it was a good balance between murder mysteries, humor and, dare we say, love. Perhaps the only thing I had some trouble digesting was the believability of Charlotte. Sure, she’s supposed to be a genius, a crime-solving prodigy, etcetera, etcetera…but can she really exist in real life? Is it probable for a 17-year old kid to have that much talent…and highly controlled substances at her disposal? It’s part of her charm I guess because I went on for the ride and had fun nonetheless. Don’t have a copy yet? Get one from Book Depository right here! They offer free shipping worldwide!